‘Collaboration’ is easier said than done – it’s such a big idea! This morning on #satchatoc – which is an amazing coming together of educators from all around the world, the discussion was about ‘flat learning’. This was how it was described by the expert, Julie Lindsay. And then by the admirable Tina Photakis. 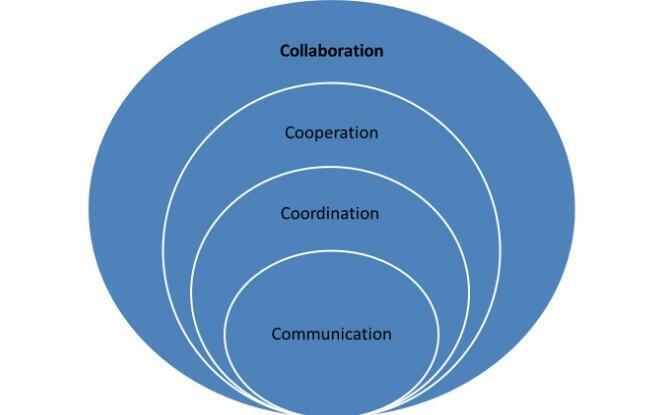 What struck me were the words, ‘true collaboration’ which caused me to ponder – why it is easier to collaborate with people who are not necessarily at the same school or in the same region? Is it because social media enables us to communicate freely and co-ordinate our lives and ideas to work together. Does this facilitate co-operation and encourage collaboration? Or is it because social media helps us to be brave enough to connect with anyone without feeling shy, unqualified or socially out of place? Since coming back to teaching thirteen years ago after an eighteen year break – yes I know, I was in danger of becoming a dinosaur – I have worked part-time and have job shared, both on class and in a support teaching role. In recent years I have shared with two absolutely wonderful professional teachers, @TareenaEastwood and @melmollyrios . Tareena and I were on class together for four years and Melanie and I have been job sharing for the last three. These have been very happy and productive collaborations. Why? Because we have the same professional standards, expectations, work ethic and passion for our own and students’ learning. We are all on the same page while being completely different personalities. We also respect one another’s expertise, ideas, belongings and work spaces and we communicate frequently and in detail about what is important for the other person to know. Its a real partnership, we are loyal to each other and try to bear each others’ loads without being interfering. We try to never assume but always to ask. Before Tareena and I embarked on our first year of job sharing we sat down to work out how there was going to be consistency in our teaching. The first thing we did was to think about what we thought were acceptable standards of behaviour and how we were going to deal with behaviour that did not meet these standards. This was so students couldn’t get away with saying, “But Mrs ____ let’s us do this”. We also decided how we were going to program and assess for those subjects that had to be taught every day and where what one of us did would impinge on the other. So far so good. Then we had an honest look at our strengths and weaknesses as teachers – this was an honest self-assessment and determined how we were to divvy out the subjects that could be independent from one another. Sometimes we changed these from term to term to stop us from losing touch with certain areas and to give us a change. There were minor adjustments along the way during the four years but we can honestly look back and say it was a very enjoyable and successful partnership. Now, when I support Tareena’s class once a week on a Monday afternoon, it feels like old times again. We are both on the same page learning together with the students and enjoying 21st century learning. It is wonderful sharing the EAL/D support teaching role with Melanie. We are fortunate to both be at school on a Wednesday so we can actually communicate face to face. Here we can bounce ideas off each other, share new learning, reflect on student progress and ways to meet students’ needs. We can also enjoy a good laugh and support each other in our sometimes tricky role. Fortunately we are welcome visitors in all the classes at our school and most teachers communicate well enough with us for us to be able to adequately support them. We find talking face to face with teachers the best way to collaborate with them. Mel and I are working towards making the teachers more aware that, for us to differentiate the lessons to suit the needs of their students, we need to see their programs well ahead of the lessons so that we can teach to them. To put it simply we need communication, co-ordination and co-operation. Just like the chart above explains. Why? Because when the system works like a well-oiled machine and we all do these things, this is when the best results occur. Anne, you have perfectly described how we worked together. It was an enjoyable four years. Thanks Tareena, it is great that we can still work together and actually see each other more now.